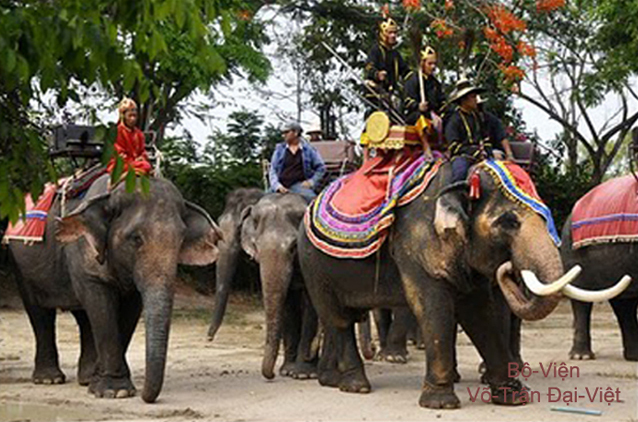 The Horse and the Elephant are two animals particularly prized in our country's history. 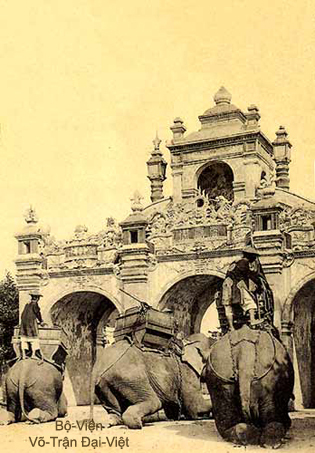 War horses and War Elephants of Đại-Việt Nation have brought their contribution to victories gleaned in wars against invaders. 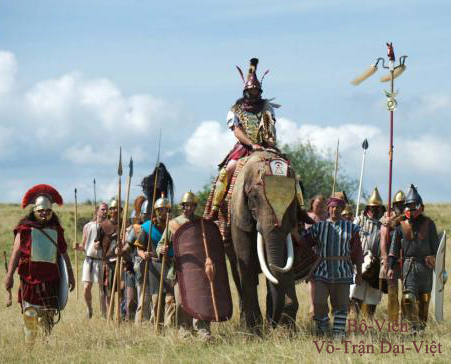 for fighting HAN's Army (40 - 43 AD). 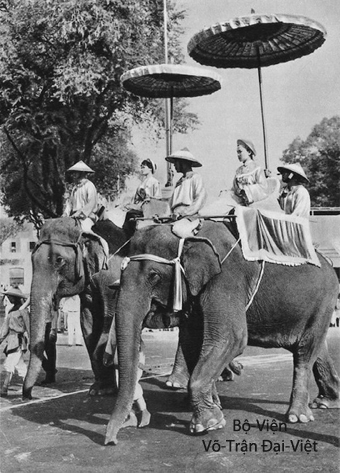 celebrated on March 3rd 1960 in Saigon. 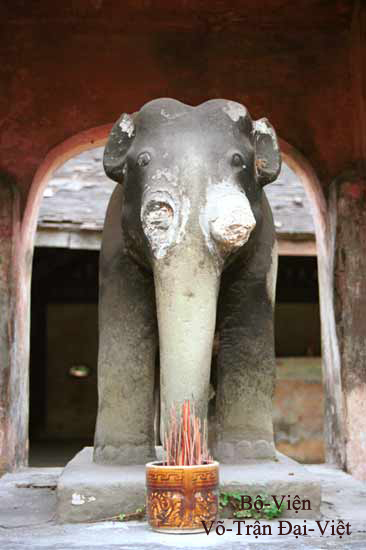 The Altar of Two Sisters TRƯNG (40 - 43 AD). 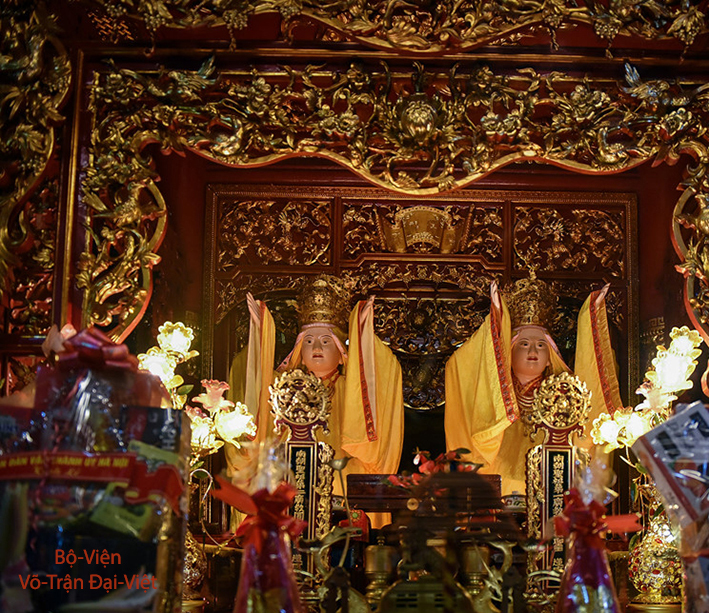 His Excellency, the Ambassador Daniel Kritenbrink and General Robert Brown from Donald Trump USA Government was offering incense together with Historian Dương-Trung-Quốc to the Altar of Two Sisters TRƯNG (40 - 43 AD) on August 20th 2018. 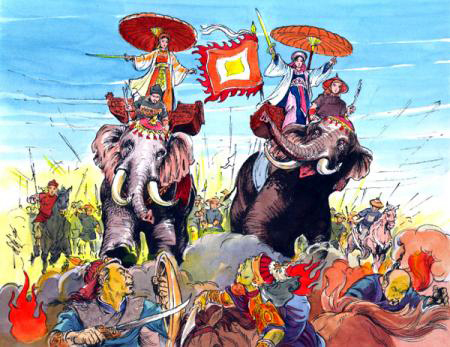 « Flower Beauty Generalissimo » - Lady TRIỆU Thị Trinh - was leading his War Elephant for doing battle with Armies from Đông-NGÔ - Eastern WOU - (225 - 248 A.D.). 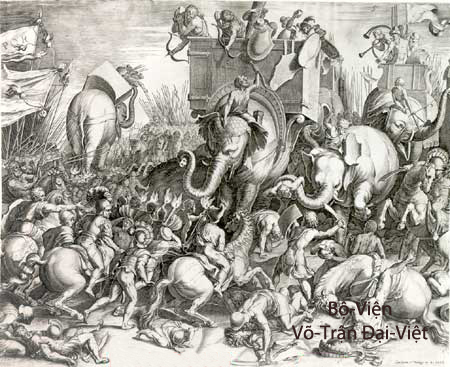 in the Battle of Đống-Đa. 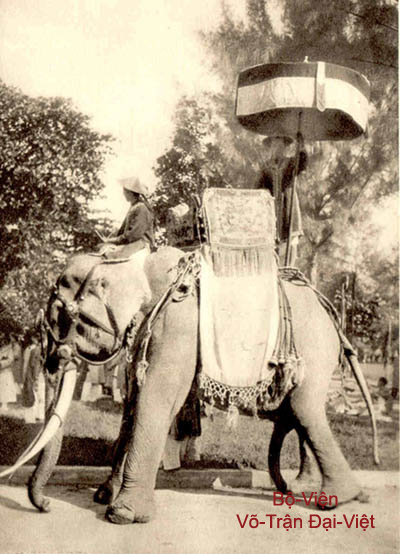 in NGUYỄN Dynasty (1802-1945) period. 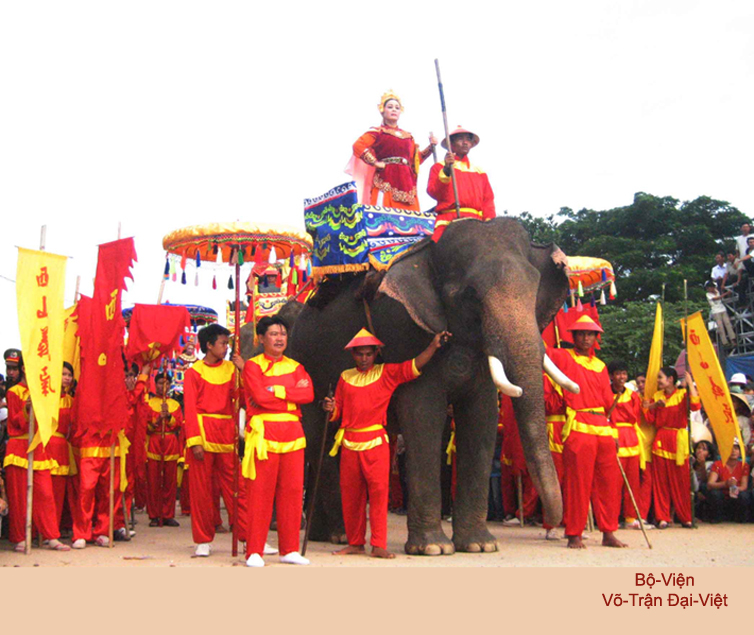 (celebrated on August 2008 in Bình-Định). 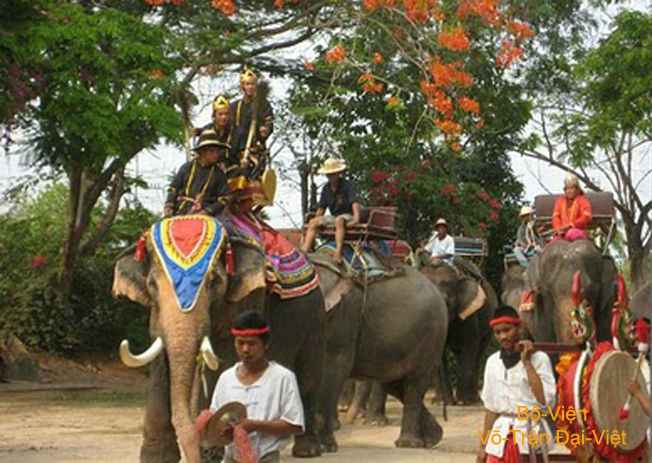 War Elephants of Khmers fighting the CHAMPA. 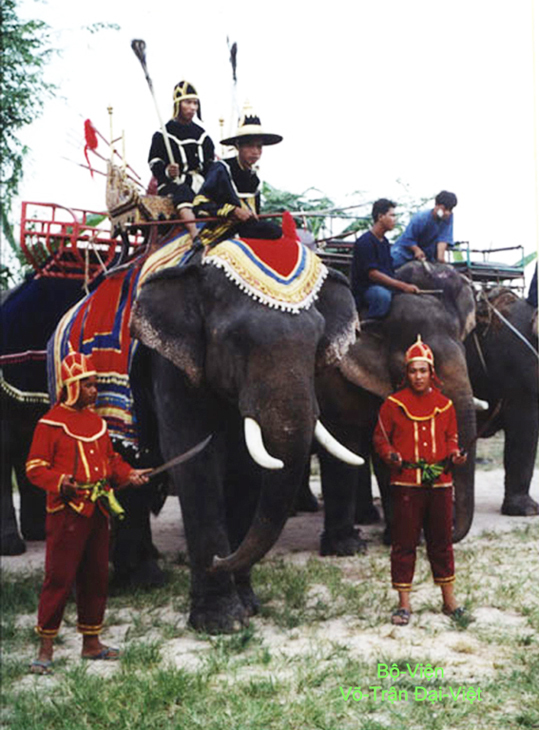 Drums Ceremony with War Elephants - Glong Sabad Chai - in Thailand. 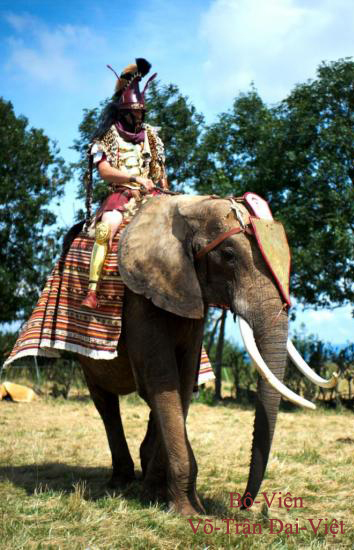 in the Battle of Zama (-202 B.C.) against Roman Empire.
" 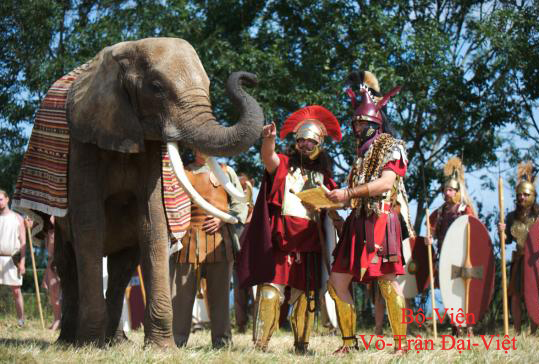 Troop of Historic Re-Enactment CARTHAGO". Roman armies of Scipion l'Africain. 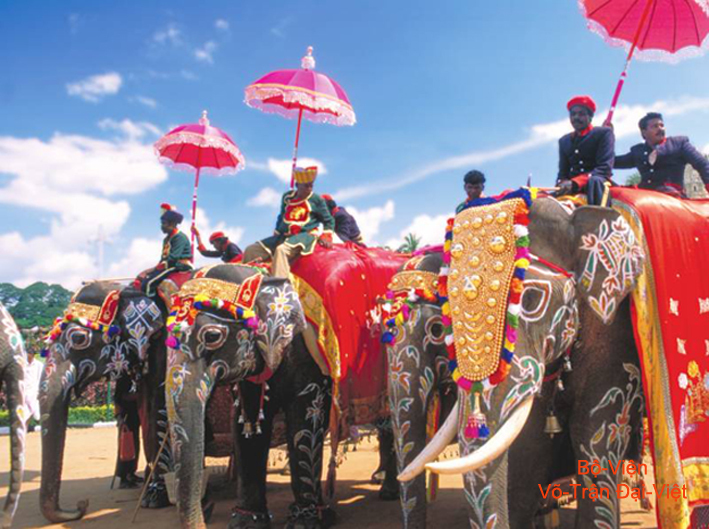 The War Elephant Festival of Jaipur in India. 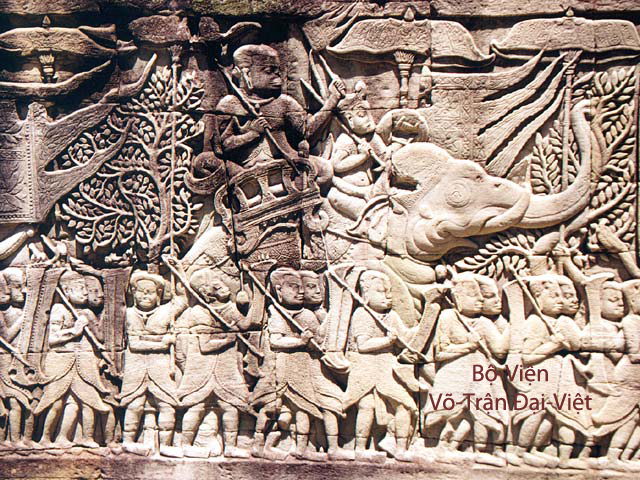 «Đại-Nam Register of Traditions and Facts Compendium established by Imperial Order » (Khâm Định Đại Nam Hội Điển Sự Lệ) from ”Institut of the Nation History" (Quốc-Sử Quán) - book numbered 175, Ed.1856-1884. « Comments from a LiIbrary » ("Vân Ðài Loại-Ngữ") from Lê-Quí-Ðôn, ED. 1773. 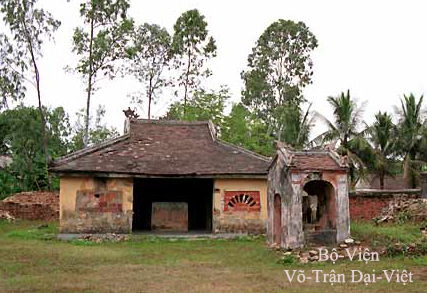 « Complete Book of Việt History » ("Việt-Sử Toàn-Thư") from Phạm-Văn-Sơn. 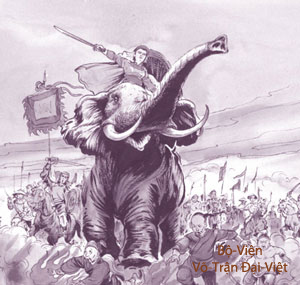 « Famous Generalissimos of Việt-Nam » ("Danh-Tướng Việt-Nam"), from Nguyễn-Khắc-Thuần, Ed.of Education, Ho-Chi-Minh City, 2001. 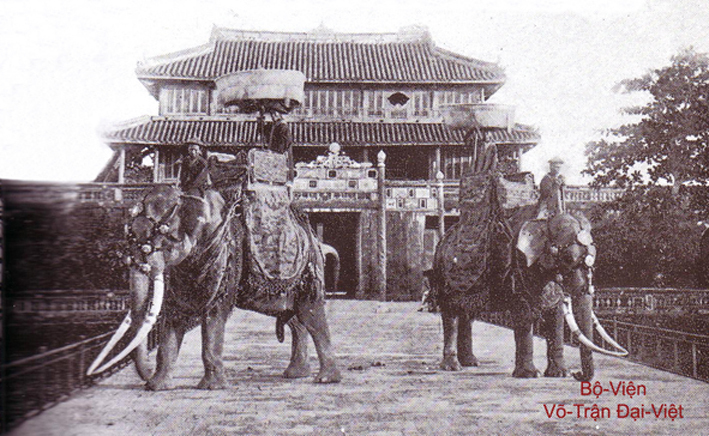 « Việt-Nam - Old Pictures » ("Việt-Nam - Những Hình-Ảnh Xưa") from Nguyễn-Khắc-Ngữ, Ed. of Research on History and Geography, Montreal 1986.